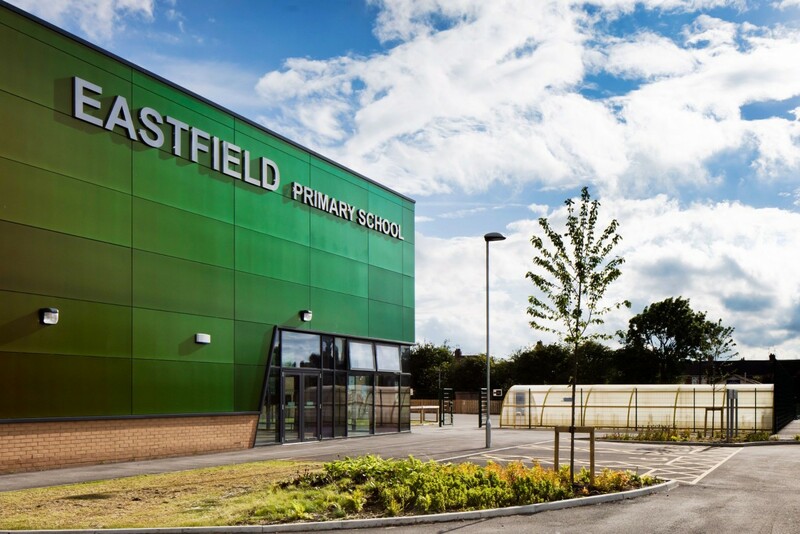 Eastfield Primary School is one of four primary schools within the Hull and East Ridings Phase 1 Priority Schools Building Programme. The scheme consists of a new build three form entry primary school situated on the playing fields of the existing school. The existing school is to be demolished to make way for replacement playing fields and enhanced access once the new school is completed. 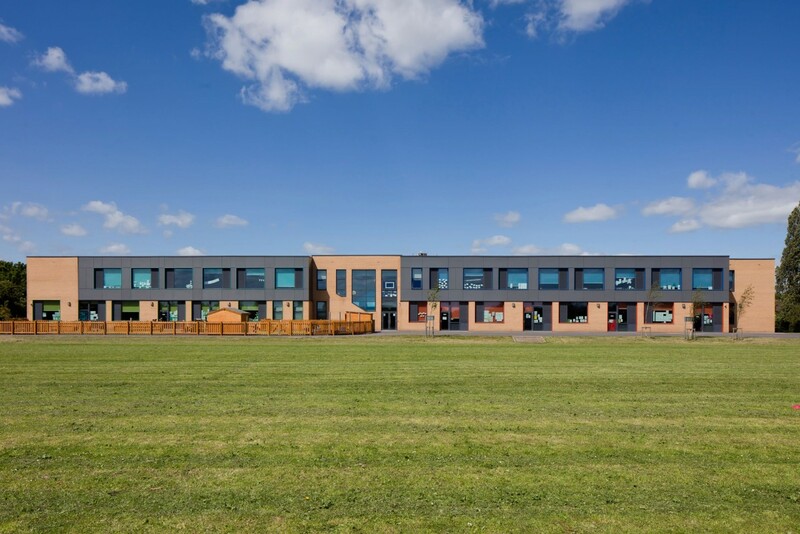 The £4.3m scheme is constructed from loadbearing, pre-cast concrete panels produced off-site and delivered on a ‘just in time’ basis which vastly reduces time and disruption on the live school site. Utilising Building Information Modelling tools to ensure full coordination and clash detection before off site manufacture ensured a smooth construction process on site with little alteration or builders’ work operations on site required. 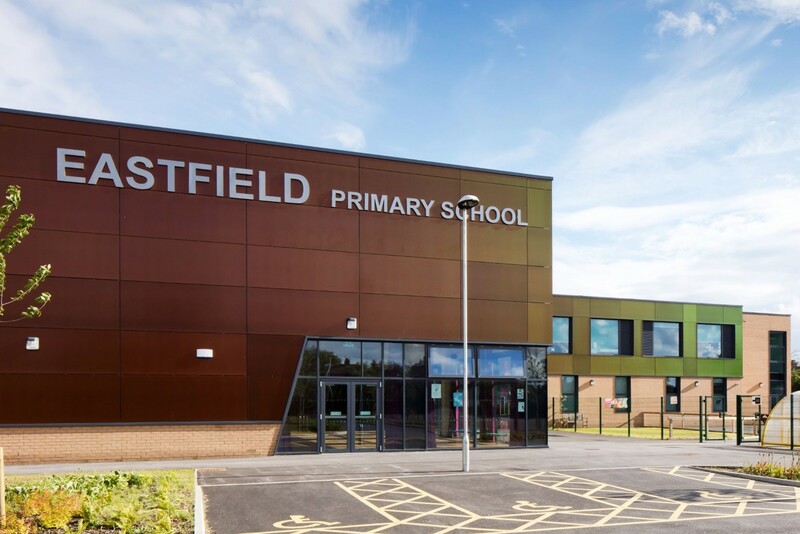 Situated in the centre of a secluded site the building is wrapped in colour changing cladding that reacts to the direction of view and sunlight creating a vibrant and stimulating environment for staff and students alike. 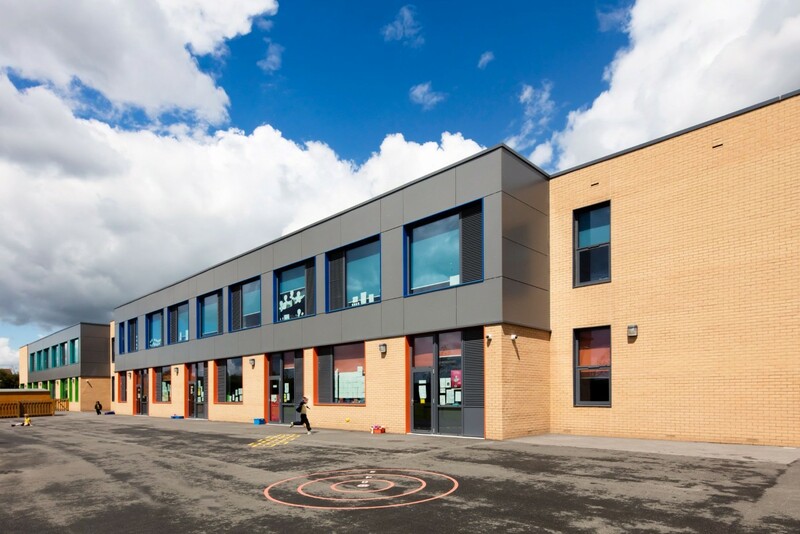 Designed and built to the challenging Priority Schools Building programme and budget targets Space Architects worked closely and in partnership with Galliford Try to deliver this scheme in early 2016.